I admit, I've been in a bit of a bubble this week, trying to deal with family issues and just get through. Nothing however prepared me for the shock of yesterday's awful news from Connecticut. As a mother, what happened is pretty much my worst nightmare, and my heart goes out to everyone who lost someone precious yesterday. A lot of bloggers today are posting white nails to mark the loss of innocence. I won't be, purely because I've got a lot of other things to do today, but my heart and my thoughts are in the same place, and I am immensely proud to be part of a community that would pull together like this. Today's mani is a simple one. The first day of Festiveness featured THIS mani, and I knew it was too beautiful not to recycle. 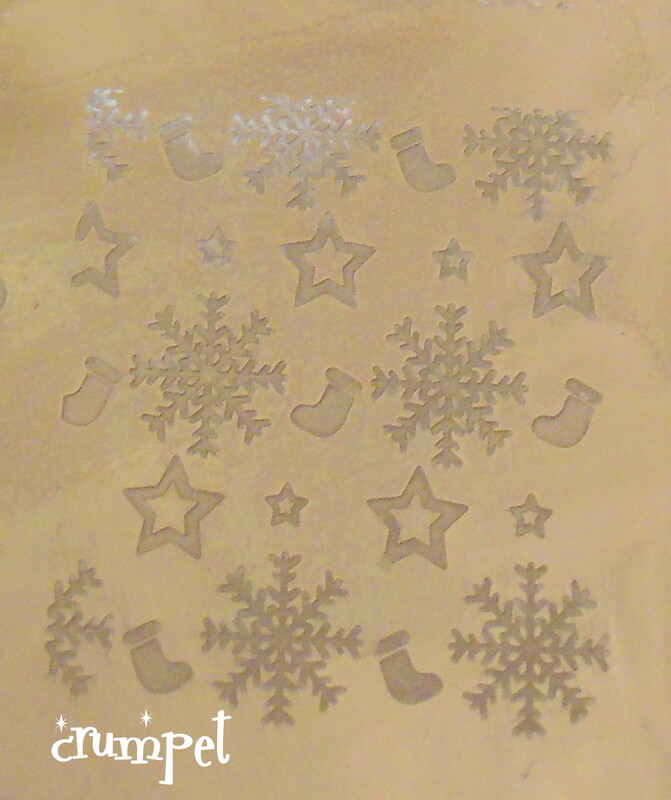 Eventually, I picked this delicate pattern on MJ7, which you can buy from My Online Shop. There's something very peaceful and pure about it, and I hope that eventually, the people of Newtown can find some peace in their hearts. Innocence should ALWAYS be cherished and protected; it's the greatest sadness of our modern life that heartfelt values seem to be melting away like the winter snow.